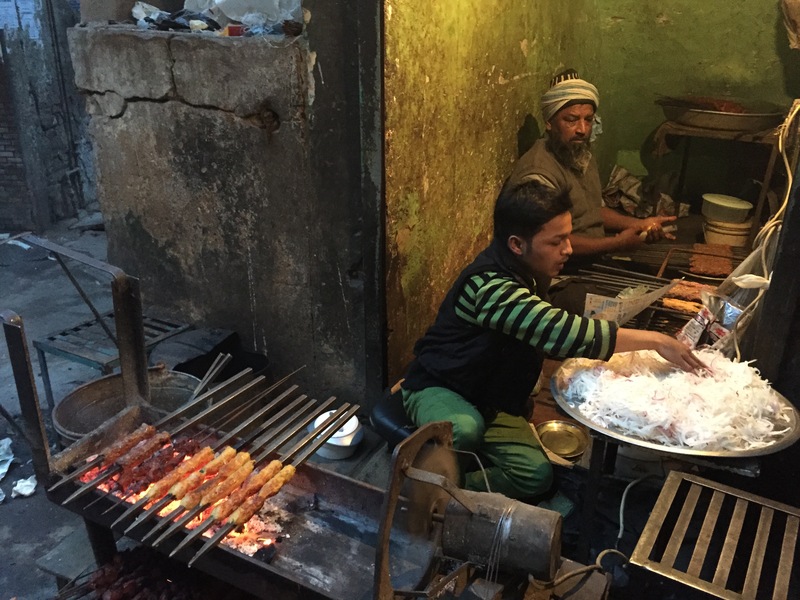 A shop inside which even a few full grown men cannot stand tall, serves freshly grilled YUMM kababs on saal leaves. The tiny shop is actually the place below a staircase. The shop does not have a signboard & I got to know the name after I asked the name of the shop. 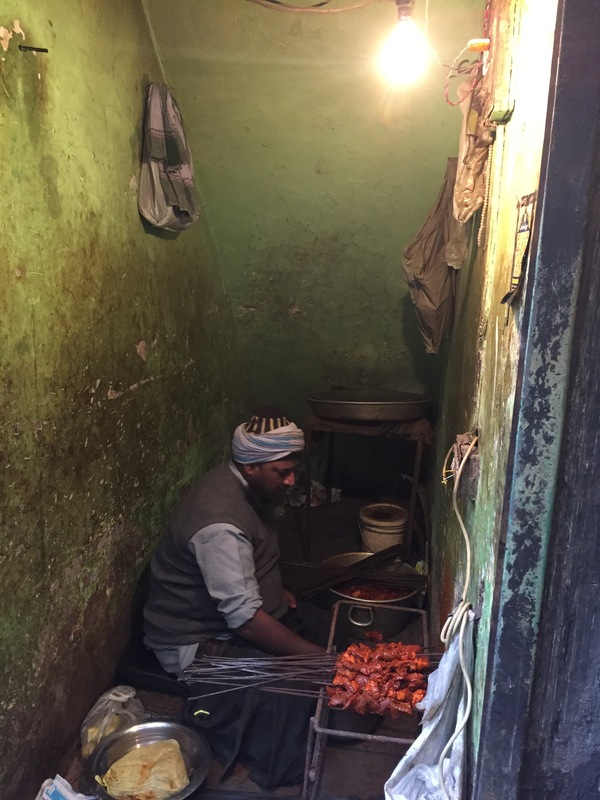 One person sat inside and was wrapping the minced meat around sheekhs / piercing the marinated meat & attaching them to the sheekh. A boy who stood outside on a road with a sigri was busy ensuring the heat was optimum. 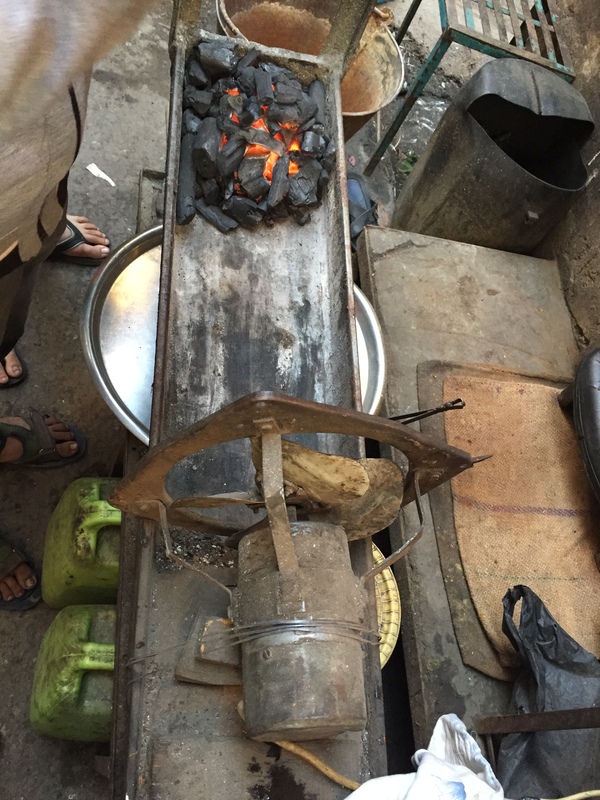 sigri fired by charcoal & an electric fan to keep the flame up. 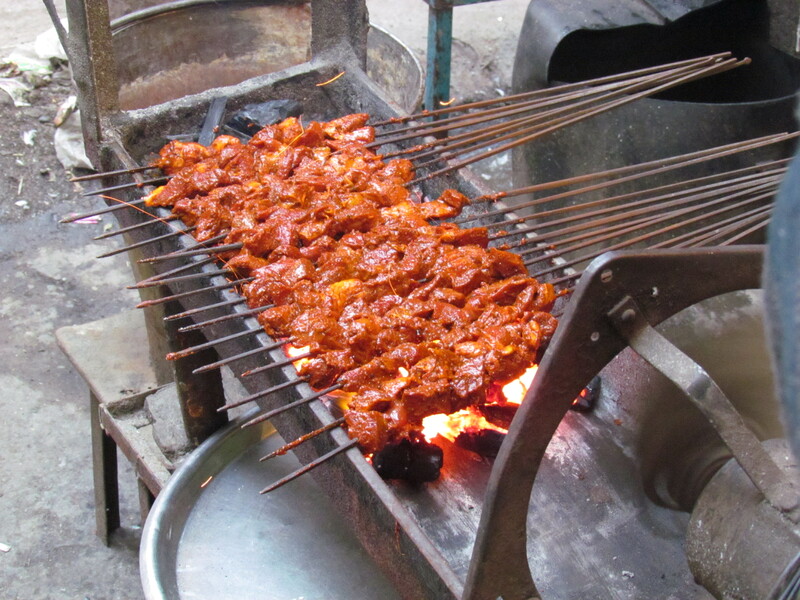 The shop served two kinds of kababs – a kabab made from marinated meat chunks (tikka) & a sheekh kabab. 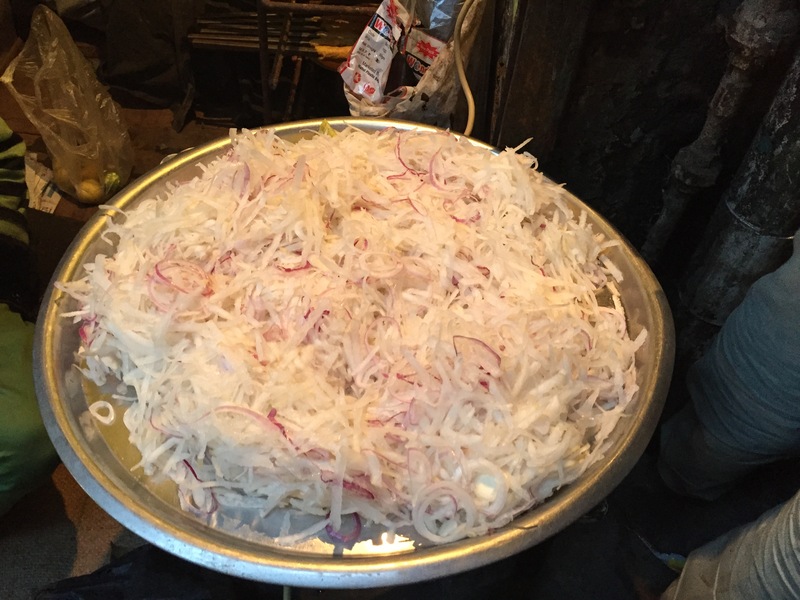 grated radish & onion, served with kababs. 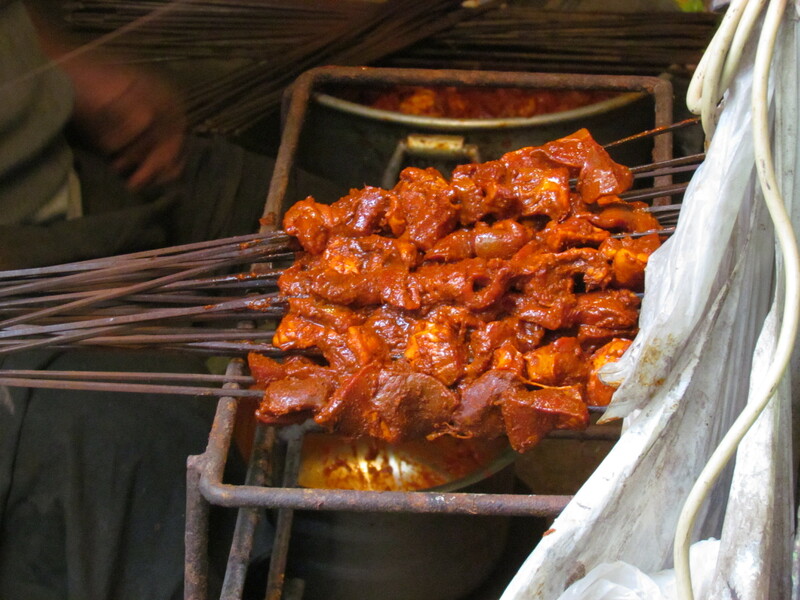 The Tikka was very good. It looked dry from outside but the looks were deceptive. It was chewy & soft, had burnt edges. It was was smokey, juicy, robust, rustic & flavorful. It had a bit of above-optimum salt in it. If I ignore the salt thing, the kabab’s rating wud b 4.5/5. With the anomaly the rating gets revised to 4/5. 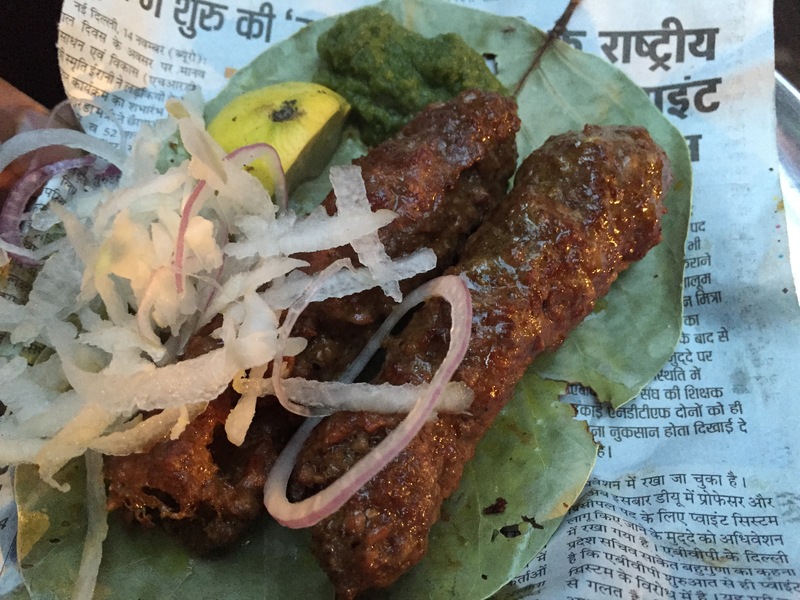 We also tried the Sheek kabab. It was not made from machine minced smooth paste. Hence there were little uneven Chunks in the mince. 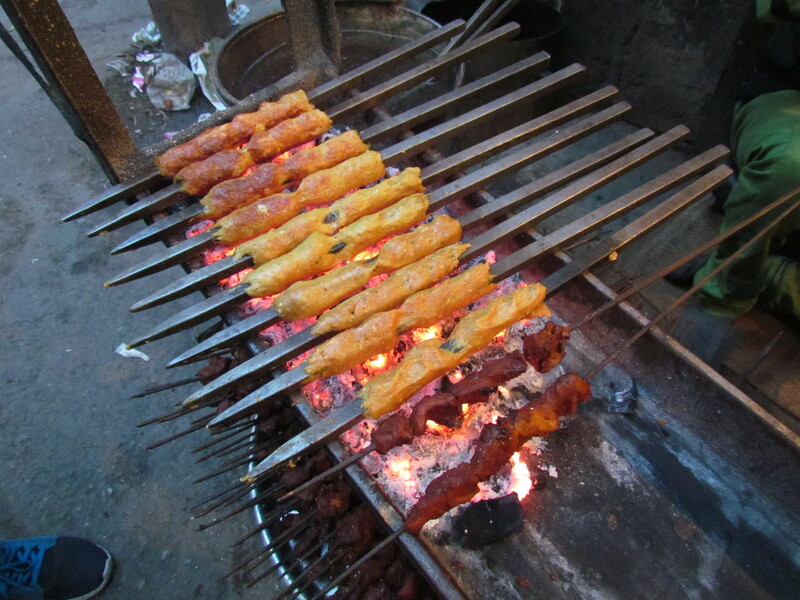 The kabab was juicy, robust, YUMM , rustic & flavorful. 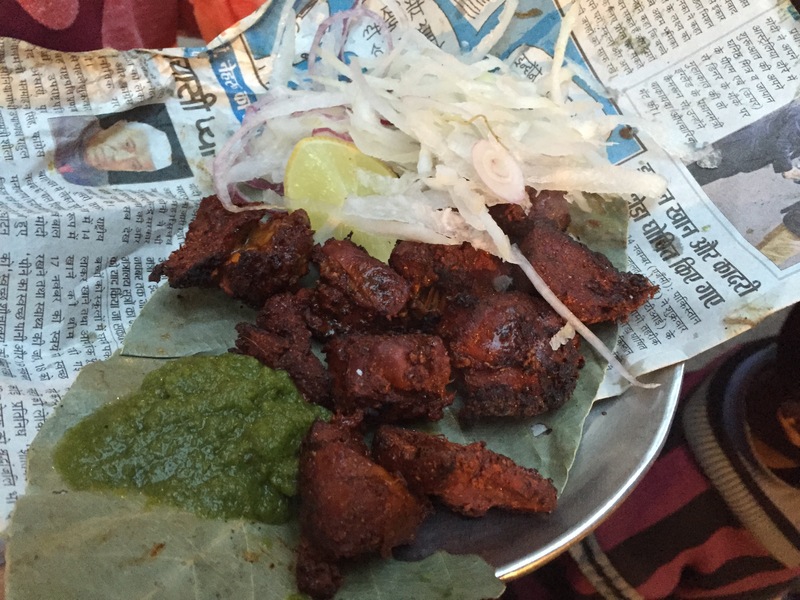 Flavor of meat was above all – spices did not make their presence felt that much. 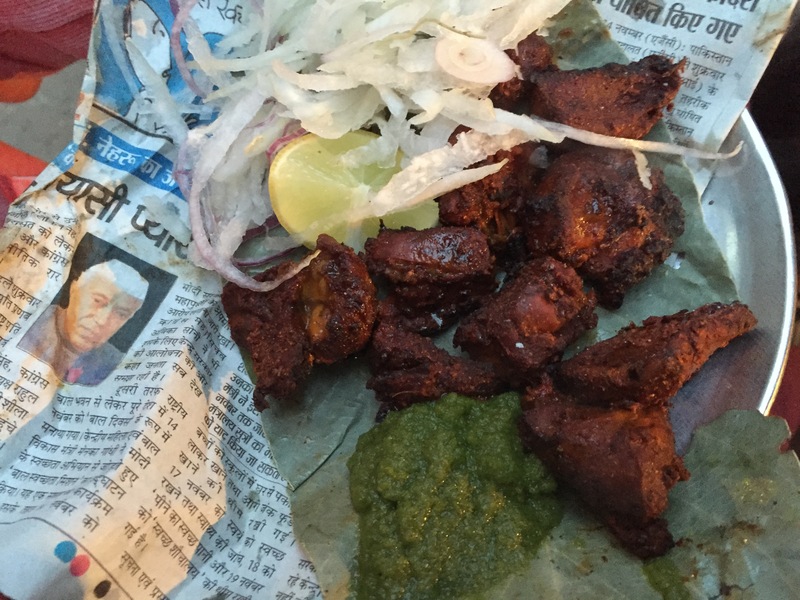 Overall rating of food at Kaale Baba averages out to 4.12/5. I wud not leave any opportunity to eat out here. What’s going on in ur mind? 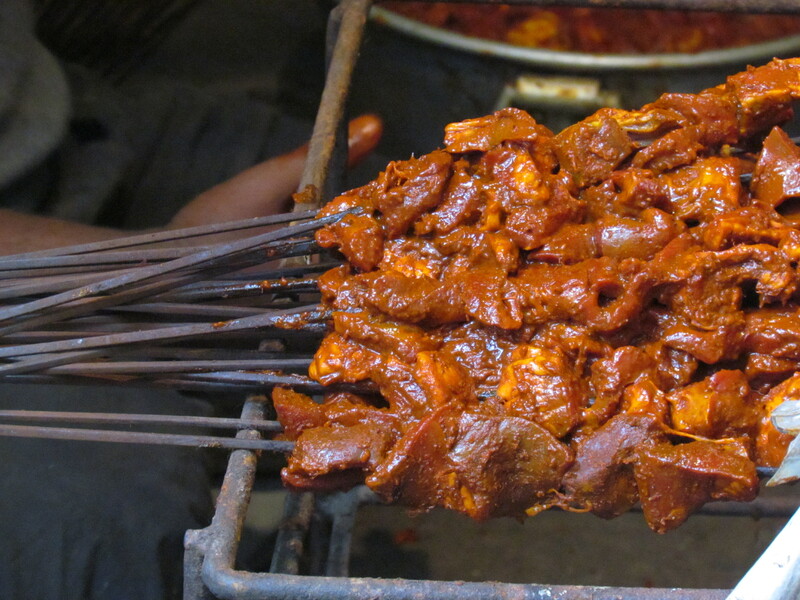 Is the meat from buffalo or goat?